A massive haul for one of baseball's top pitchers. Being a member of Team Jordan not only means avoiding sneaker lines, but doing so without having to shell out any cash. Detroit Tigers ace David Price, who has been pitching in Jordan cleats for the past 3 years, couldn't have been much happier about today's huge shipment from the brand. 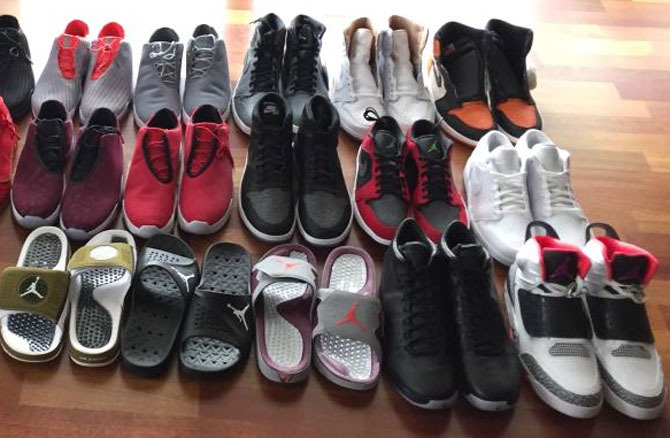 Taking to his Twitter account, Price shared a photo of 26 brand new pairs of Air Jordan sneakers (and slides). Combined, the shoes retail for more than $4,000, including the $700 MTM Pack. The haul also consisted of various Air Jordan 1s, Air Jordan 6 Lows, Air Jordan 7s, Air Jordan 13 Lows, the first Air Jordan XX3 retro, Air Jordan Future Lows, slides and the Son of Mars. 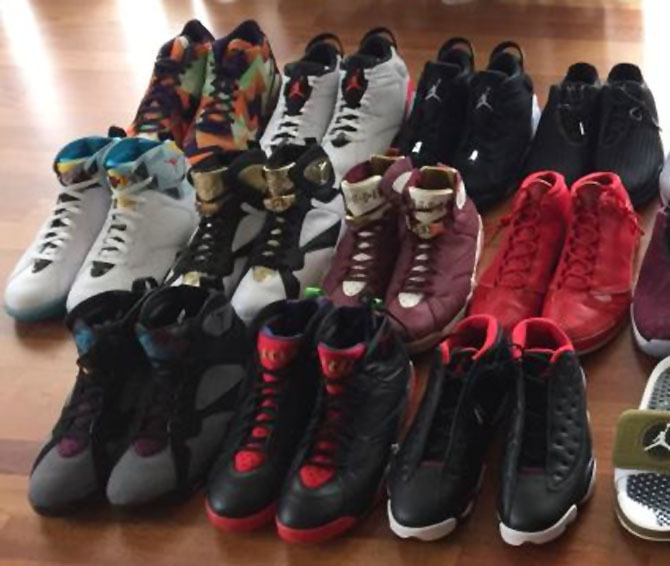 Jordan Brand definitely takes care of its athletes. Perhaps this is why Jimmy Butler took a massive paycut to join.